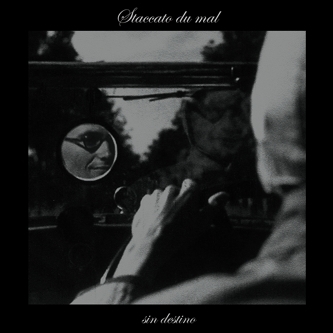 Staccato Du Mal is one of the loneliest alter egos associated with of Ramiro Jeancarlo (Flesh Graey Display, Opus Finis, Xeno And Staccato). He arrives at the first SDM album 'Sin Destino' in the midst of a coldwave revival he helped instigate over the last 10 years. It's twelve bleak tracks are perfectly evocative of bleached concrete, dystopian early '80s cityscapes and synthesized sci-fi tensions, at least to us anyway. They're also much darker than many of his Wierd label mates, creating an entrancing, idiosyncratic sound of inner turmoil and anguish articulated through instinctively pop-sharp chord changes and hooks. Track titles like 'Salvation Through Suffering', 'Plea Bargain' nd 'Foto Archivo' should indicate the sort of occluded territory we're entering, but to best judge his uncompromising vibe check the arresting instrumental 'Logan's Sleep' or dance to 'Sólo Baila Sola' until your feet are bloodied stubs. Fans of Martial Canterel, Arpanet, Tropic Of Cancer, or Chris & Cosey really need to shut themselves in a dark room with this.